Atiku Abubakar, presidential candidate of the Peoples Democratic Party (PDP), has employed the services of a US lobbyist firm to advance his challenge of the outcome of the February 23 presidential polls. President Muhammadu Buhari defeated Atiku with over three million votes in the election but he rejected the results and filed a suit before the presidential election petition tribunal challenging the process which he said was “heavily militarised” and results manipulated. According to a report by Centre for Responsive Politics (CRP) , Bruce Fein, former justice department official and his firm Fein & DelValle PLLC registered on March 24 as foreign agents on behalf of PDP and Atiku. The firm is expected to “encourage Congress and the executive to forbear from a final declaration and recognition of Nigeria’s February 23, 209 presidential election until outstanding legal challenges to the initial government of Nigeria assertion that incumbent President Muhammadu Buhari was the victor are impartially and independently resolved by the supreme court of Nigeria without political or military influence, intimidation or manipulation”. 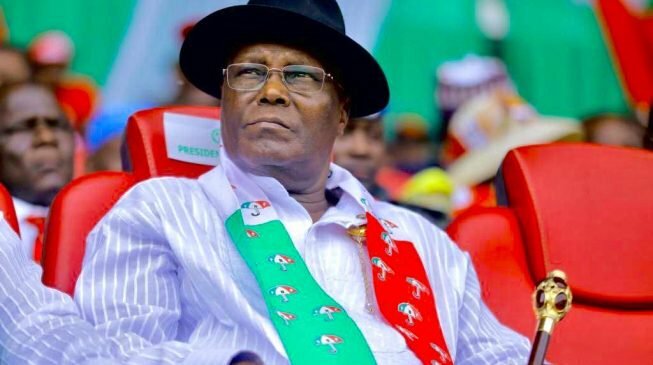 Atiku is seeking to be recognised by the US as the president of Nigeria, and halt the final declaration of Buhari as the president until the matter is ruled upon by the supreme court. “Draft articles and op-ed pieces to spotlight the issues in Nigeria post-2019 presidential election arid to promote the rule of law and due process in resolving electoral disputes in Nigeria. It added that Fein will be paid $30,000 over a 90-day contract.